Should a Skin Toner be Part of Your Beauty Routine? A facial toner is considered by many to be one of the three essential steps in a skin care routine, those being, cleansing, toning and moisturizing. People who tone on a regular basis say that it helps their skin to look and feel its best. But not everyone is convinced, and some even say that it could be harmful. Skin toners have gained somewhat of a bad reputation because of the alcohol they contain, but not all toners contain alcohol. One of the main reasons why toners have gained somewhat of a bad reputation is because they usually contain alcohol. An ingredient that some can find very drying. Alcohol, as most people know, is not a good ingredient to have in your skincare products because it strips natural oils from the skin and causes it to dry out more quickly. This can then result in premature facial aging and the development of fine lines and wrinkles. Today, however, there is a large variety of face toners to choose from. For example, a skin bracer/freshener, such as rosewater, can have no or very low levels of alcohol making it suitable for most skin types without causing a drying effect. Rosewater can safely be used on even the most sensitive of skins. Other types of toners can have more alcohol in them. Skin tonics, such as orange flower water, for example, can contain up to 20% alcohol content. 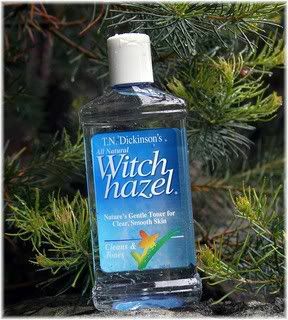 Whilst astringents, such as witch hazel, can contain up to 60% alcohol. Is the presence of alcohol always a bad thing? Having alcohol in your skincare products isn’t always a bad thing, as some people actually benefit from applying diluted alcohol to their face. People with oily or acne skin, for example, can greatly reduce the amount of oil on their face, and also kill bacteria, by using alcohol based products. If you have an oily skin type you can probably use an alcohol based product without issue. But for other people, especially those with sensitive or dry skin types, it’s usually best to avoid alcohol, as not only can it dry the skin, but it can also cause irritation and inflammation which itself may accelerate the facial aging process. 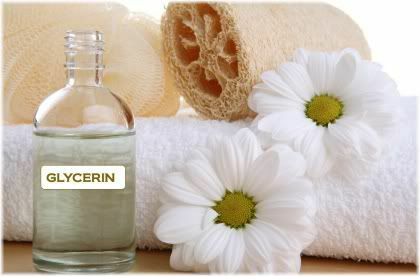 It should be noted though, that most toners nowadays also contain humectants such as glycerin. 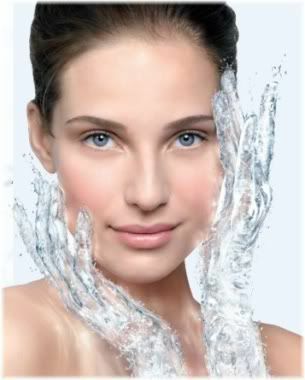 When applied to the skin, humectants help to prevent moisture from evaporating from the upper layers of the epidermis. So even if your toner does contain some amount of alcohol in it, this won’t necessarily make it drying if it contains a humectant and you will be moisturizing your face afterwards. Most toners contain a humectant, such as glycerin, to help trap moisture in your skin. Note: Sometimes you won’t see the word “alcohol” printed on the ingredients list of your toner, but instead will see ingredients such as ethanol, isopropyl alcohol, acetone or benzoyl peroxide. These can also be very drying, especially benzoyl peroxide which is commonly used as an acne treatment due to its drying effects. 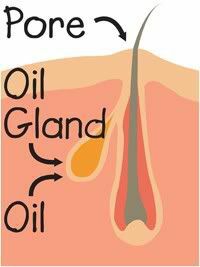 The pores of your skin are essentially just the openings of glands, such as oil and sweat glands, that sit on the surface of your epidermis. The size of your pores is inherited, and no matter what type of cosmetic or beauty product that you use, you can’t close or open a pore as many people have been led to believe. Your pores, however, can look different depending on the health of your skin and the type of skincare routine that you follow. If you get a sunburn, for example, the inflammation caused by that burn can cause a swelling effect around the pores making them appear smaller or as though they have shrunk. 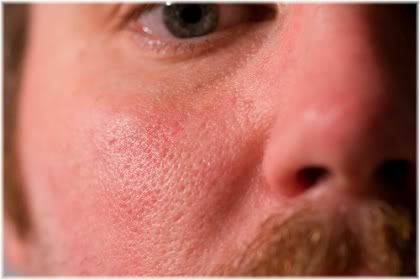 Pores can also sometimes be made permanently larger by squeezing zits or pimples, as this can stretch a pore and permanently alter its shape if scar tissue develops. The size of your pores are genetically determined and can’t be changed, although, certain things can make them look bigger than they actually are. For most people though, the reason their pores can sometimes look larger than normal is because they have been clogged with impurities on the skin. So by removing contaminants such as oil, bacteria, dead skin cells, makeup residue, dirt, pollution and mineral deposits from your pores, your pores will appear smaller and your skin will look healthier and cleaner as a result. Sitting upon the uppermost surface layer of your epidermis is a thin acidic layer known as the acid mantle. Generally, the pH of the upper epidermis will fall somewhere in the acidic range of 4.5 to 6.2, depending on whether you are a male or female and the region of the body. 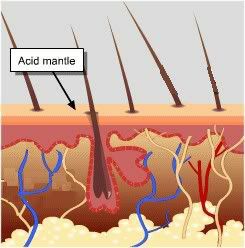 The acid mantle layer forms a protective acidic barrier over your skin. Many skin care products, however, greatly reduce its effectiveness. The acid mantle helps to keep the skin healthy by exerting antioxidant effects, protecting against bacteria and viruses, keeping the skin hydrated and maintaining the overall integrity of the epidermal layer. The trouble with some skincare products, especially soap based products, is that they tend to be very alkaline. This then disrupts the pH level of your epidermis, and temporarily destroys the protective and beneficial effects your acid mantle layer was providing your skin with. A facial toner can help to counterbalance these effects by restoring a more acid pH to the mantle layer, which is one reason why toners are commonly used after applying a facial cleanser. The reason why most facial toners are hydrating is because they contain a humectant which locks moisture in the upper layers of the epidermis. This helps your skin to rehydrate more quickly after cleansing, which can also be beneficial in helping the skin not to produce too much oil in an attempt to moisturize itself. 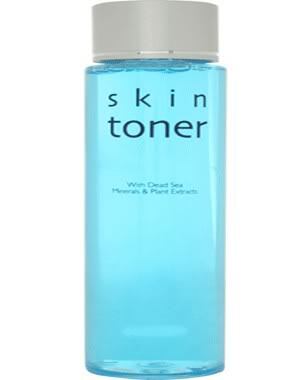 After using a toner you should notice that your skin feels more hydrated. You may have noticed, that after you cleanse your skin it can take a long time for it to feel hydrated again unless you have immediately put on a moisturizer. This period of dryness is when the skin naturally starts moisturize itself with sebum, and if you are using a facial toner, you should notice that your skin remoisturizes itself sooner. That is, of course, providing you are using a mild facial toner that doesn’t contain too much alcohol or is alcohol free. Toning your face can help you to better absorb beneficial anti-aging ingredients in the skin care products that you use. This can occur as a result of two effects that toning brings. A face that has been properly cleansed can better absorb things that are put on it. The first, is that facial toning itself cleanses the skin, and you are much more likely to absorb anything you put on a clean face rather than on a face which is dirty and clogged. The second, is that facial toners also usually contain some kind of penetrant or absorption enhancer which helps any anti-aging ingredients in your toner, such as vitamins and minerals, to more easily enter into your skin to nourish it. Furthermore, women who apply makeup are also likely to find that their makeup sits more evenly on the face and that they can apply it easier and better because their face has been properly cleansed. 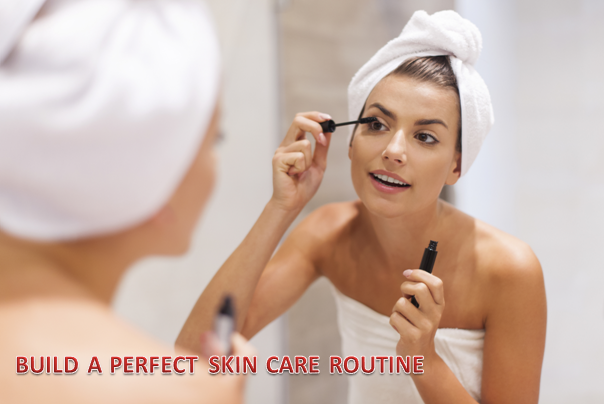 Most dermatologists recommend that you carry out your regular skincare routine in the morning when you wake up, and at night before you go to bed. Cleanse, tone and moisturize twice a day to keep your skin looking at its best. Twice a day is recommended because during the night is when your skin cleanses itself and eliminates toxins, and during the day your face accumulates dirt, bacteria and pollution from your environment. So by cleansing, toning and moisturizing twice a day, you will keep your face clean and looking at its best. It’s important to remember though, that you should always pay attention to how your skin reacts to whatever you do to it. So if you notice that your skin doesn’t feel right after cleansing twice a day, for example, then you may need to switch cleanser or cleanse less often. Let your body be your guide! What Type of Toner Should You Use? Your skin type will largely determine what type of facial toner you need to use. If you have dry or sensitive skin, then you should use an alcohol free toner and one that does not contain any other harsh or drying ingredients, such as acetone or ethanol. Doing so will cause your face to become overly dry, and is also likely to cause skin irritation and inflammation. 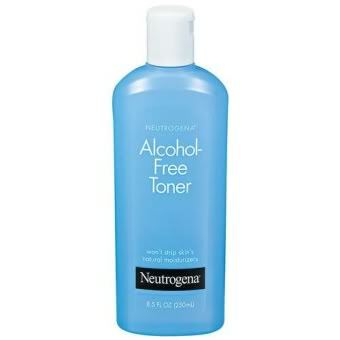 Use an alcohol-free toner if you have sensitive or dry skin. If you have acne or oily skin, then you may want to consider using an alcohol based toner especially if you are suffering from lots of zits or pimples on your face. The natural oil in your skin will largely compensate for the effects of alcohol, and so you shouldn’t find alcohol based cleansers too drying. However, using too strong of an alcohol based toner may in fact cause your skin to become more oily. So you will probably need to experiment with different strengths, such as rosewater toners or witch hazel based toners, until you find something that works well for you. Witch hazel comes from the witch hazel shrub, but it can contain up to 60% alcohol which can be far too drying for some skins. If you are still having problems with breakouts after using a toner, then you may want to consider using one that contains ingredients such as salicylic acid, glycolic acid or hydroxyl acid. These ingredients have a mild exfoliating effect on the skin, which can help to cleanse it more deeply and effectively than you can with most regular toners. 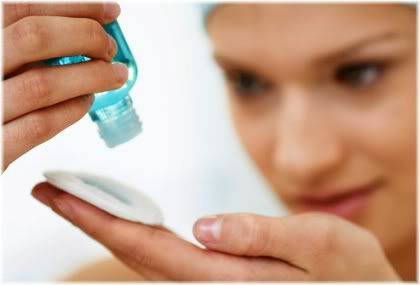 For moderately severe cases of acne, speak to your doctor or dermatologist about using benzoyl peroxide based toners. A toner should be applied to your face after you have finished cleansing it. This can be done in a variety of different ways. For example, you can use a traditional bottle based liquid or cream solution that you apply to a cotton pad, or you can use a spritz or spray toner. Spray toners are the easiest to apply and also the longest lasting. Spray toners will last you the longest, so if you are on a tight budget then they are a good option to go for. When applying a spritz toner you should hold the bottle roughly 10-15 inches from your face, and then spray your face 2-3 times with your eyes closed. The spray should feel cool and refreshing. After the toner has been applied to the face, you can either pat it gently with a cotton pad or swab your skin in an upwards direction. 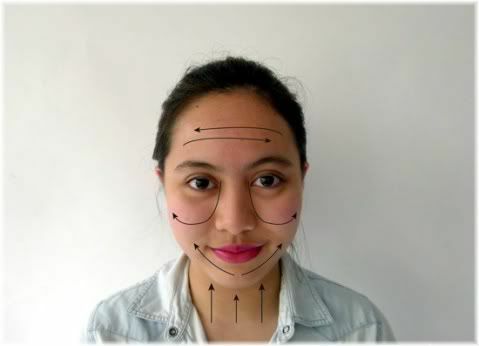 When toning your face, pay particular attention to your T-zone area (i.e, your forehead and nose) as this tend to be the oiliest region of the face. You should also pay close attention to your chin, as this area can have a lot of dirt and bacteria buildup if you touch your face often throughout the day. Arrows indicate direction of movement with cotton pad. 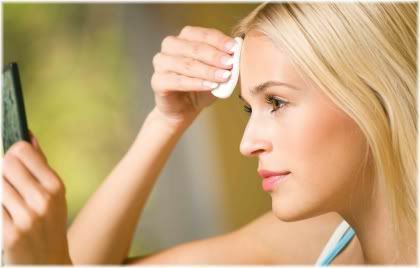 If you notice a lot of dirt on your cotton pad after toning, then this may indicate that your cleanser isn’t cleansing your face very well. For best results, it is recommended to use one side of your cotton pad for one side of the face, and the other side of the pad for the other side of the face. 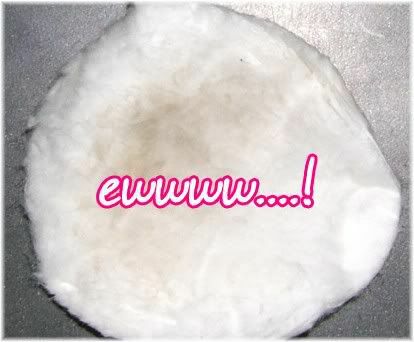 If your pad is very dirty after toning then you probably aren’t cleansing well enough. Once you have finished toning your skin, you are now ready to apply your moisturizer. Some people prefer to apply moisturizer while their face is still slightly wet as they feel that this helps to better moisturize them. Others prefer to apply moisturizer on very dry skin, as they feel that it is absorbed better this way. But what you choose to do really comes down to personal preference, so just do what you feel comfortable with and what gives you the best results.